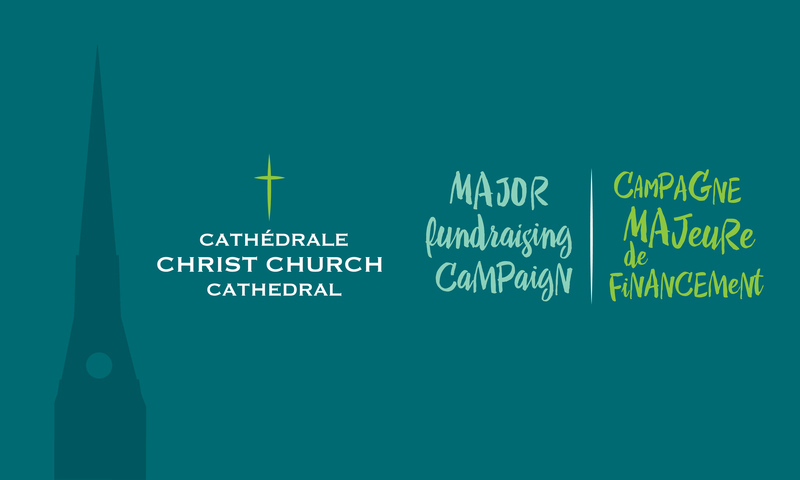 The Christ Church Cathedral restoration project and Major fundraising campaign are supported by community leaders who are dedicated to preserving our architectural heritage and who believe in the value of the music and of the social justice work done by cathedral volunteers. This week, retired social worker, professor and community builder Sheila Goldbloom tells us why she supports the campaign. The major part of Mrs. Goldbloom’s professional career was in social work, which she also taught at McGill University. Her commitment to her field and to community development has been recognized by the titles of Member of the Order of Canada and of Chevalière de l’Ordre du Québec. Significantly, she has also been honoured by her peers of the Ordre des travailleurs sociaux et thérapeutes conjugaux et familiaux du Québec, who awarded her the Prix Émerite 2016. In fact, the cathedral’s red doors are open every day of the week, from 8:00 a.m. to 6:00 p.m. People walk in looking for spiritual guidance, referral to a social service, a listening ear or just peace and quiet. Sheila Goldbloom in 1948, before she moved to Montreal. Mrs. Goldbloom herself has played a significant part in our history and continues to do so. After moving here from New York in 1949, she dedicated her life to local educational, social, philanthropic and government organizations. Among the dozens of organizations she has served are the Jewish Junior Welfare League, Federation CJA, The YWCA, Batshaw Youth Services and Centraide. In fact, as Chair of the Red Feather Agency at the time it became part of Centraide, she found herself the advocate for the Protestant social agencies! Bust of Raoul Wallenberg in the square behind the cathedral. In 2015, the Quebec Community Groups Network (QCGN) established the Sheila and Victor Goldbloom Distinguished Community Service Award in recognition of Dr. Victor and Mrs. Sheila Goldbloom’s dedication to ensuring English-speaking Quebec remains a vibrant community within Quebec and Canada. Her late husband shared her convictions and joined her on the Christ Church Cathedral campaign cabinet. Dr. Victor Goldbloom, C.C., O. Q., headed up the Canadian Council of Christians and Jews in the 1980s, and later became Canada’s Commissioner for Official Languages. The well-known pediatrician, lecturer and politician passed away in 2016. Mrs. Goldbloom kindly agreed to stay on as Honorary Co-Chair after his death. Christ Church Cathedral is very fortunate to count her among the supporters of the Major Fundraising Campaign and salutes her for her tireless work to make Montreal a more human place with a healthy respect for its past. Of the funds raised by the campaign, $7,470,000 will go to repair the spire, restore the masonry and architectural elements, and upgrade the church interior. Please consider building the future through this gift to the coming generations. Click here and donate what you can. Big or small, every donation counts!